I used the old PL-2303HX IC (Rev. A, not Rev. D!) 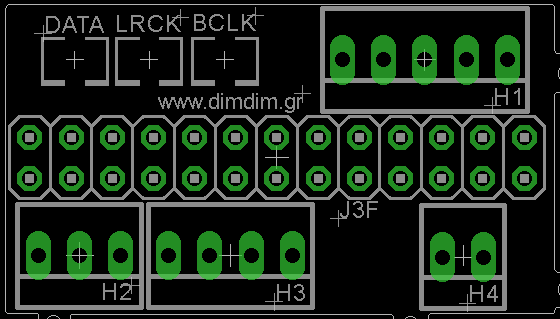 for the USB to serial bridge, since it was the only such chip I could get my hands on when I was designing the board. It is officially supported by most operating systems with the exception of Windows 8 & 10, where it will work, but you might need to do some manual work to install the drivers. On Windows 8 & 10, the system will find and install drivers by itself, but these drivers will probably not work correctly. Should that happen, the new COM port will have a yellow exclamation mark (as seen on Device Manager). You should download and install these drivers: PL2303 Prolific Driver Installer v1.30	(516 downloads) Then go to Device Manager, right click on the problematic COM port and select “Update Driver Software”. Then click “Browse my computer for driver software”, then “Let me pick from a list of device drivers on my computer”. You should see two drivers – one dated 2015 and one 2010. You should pick the one from 2010. That should get your COM port working. Toslink source selection is by J2, by driving the middle pin HIGH or LOW. LOW means input 1 (OX1), HIGH means input 2 (OX2). 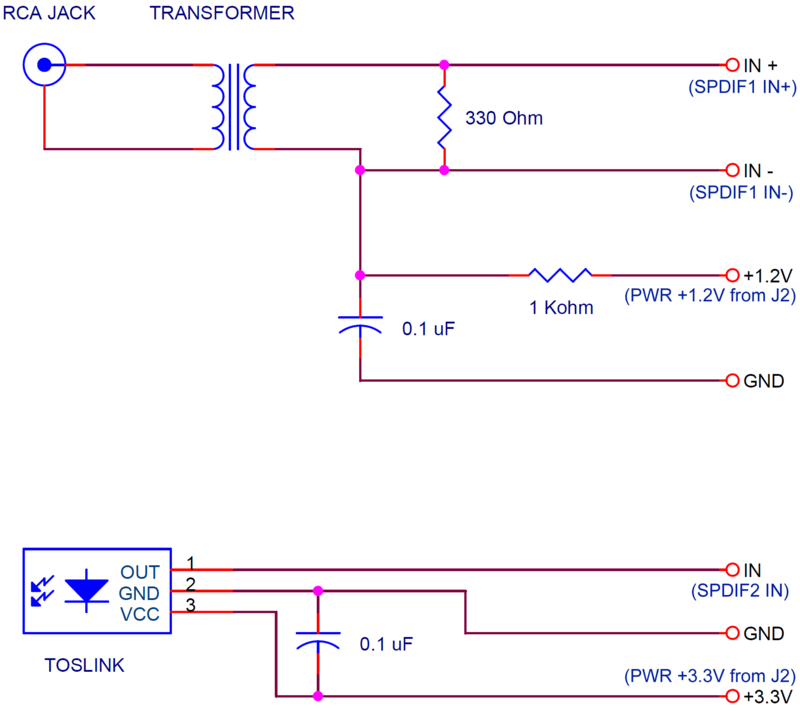 You may use a SPDT switch or outside logic (Arduino etc.). A board for the DAM’s J3 header, exposing its (currently) useful signals. 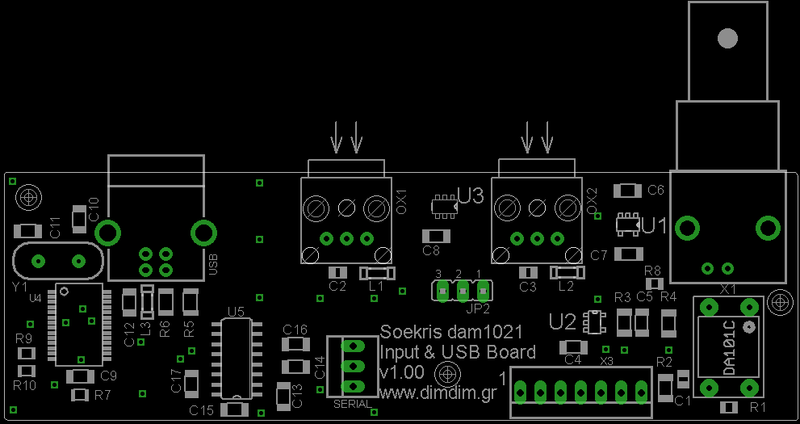 I2S input is via U.FL sockets. A board for the Amanero Combo384. 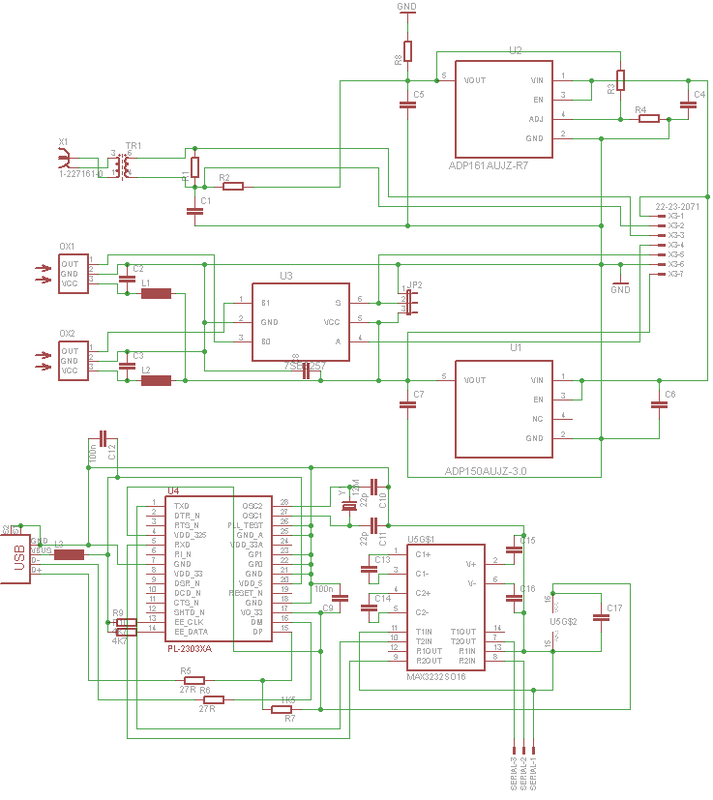 It is very basic, all it does is expose its I2S output and its 3.3V output. 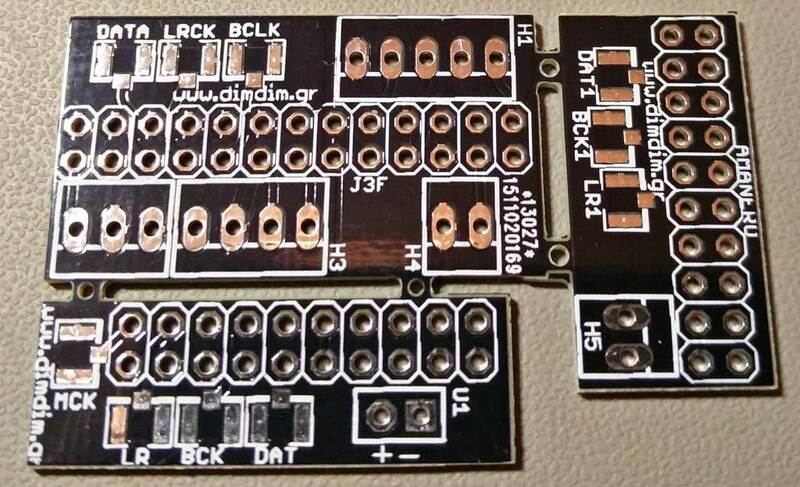 A board for DIYINHK’s XMOS-based non-isolated board. 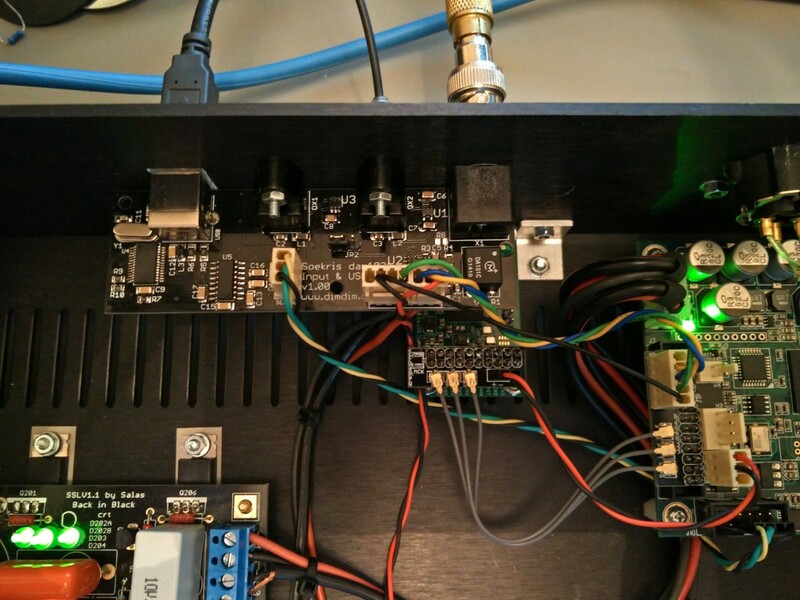 It is also basic, exposing its I2S output and its 3.3V power supply input. The most useful one (at least for me) is the one for the J3 header.